After traveling 16,000 miles this fall to visit schools and events throughout the east and southeast, 1960s free speech icon from Supreme Court’s “armband case” seeks to continue her nationwide Tinker Tour this spring to boost free speech awareness and civics education by telling her story to students and teachers across the American west and southwest. 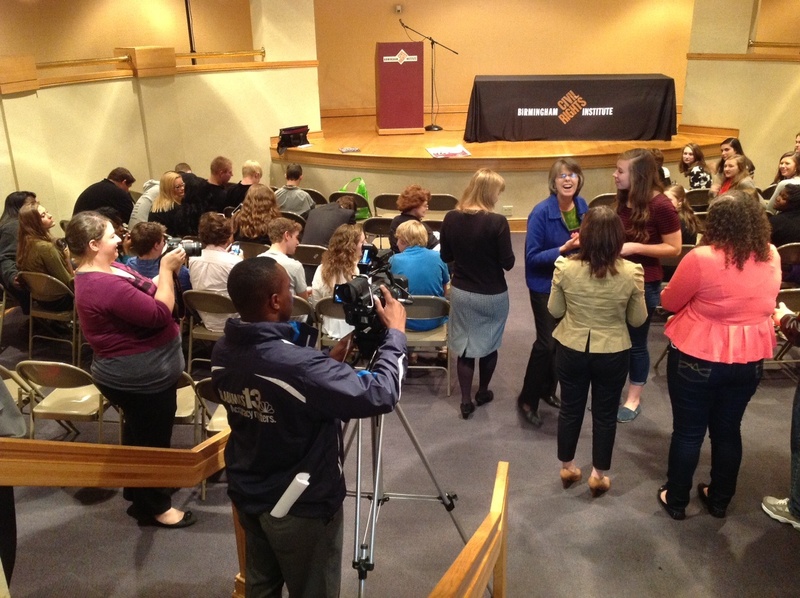 Mary Beth Tinker, a plaintiff in the landmark 1969 students’ rights case Tinker v Des Moines, launched a crowdsource campaign (http://www.startsomegood.com/tinkertourwest) today to continue her national civics education tour, the “Tinker Tour,” with visits to at least 12 western states this spring. This fall, Tinker and student rights attorney Mike Hiestand traveled 16,000 miles across the Eastern half of the country — from Massachusetts to Michigan to Mississippi — stopping at nearly 60 schools, colleges, libraries, courts, a student detention facility and several national conventions. Tinker shared her story with more than 20,000 students and teachers while also talking with them about free press, free speech and civics education. More information about the tour is available on the Tinker Tour Web site. 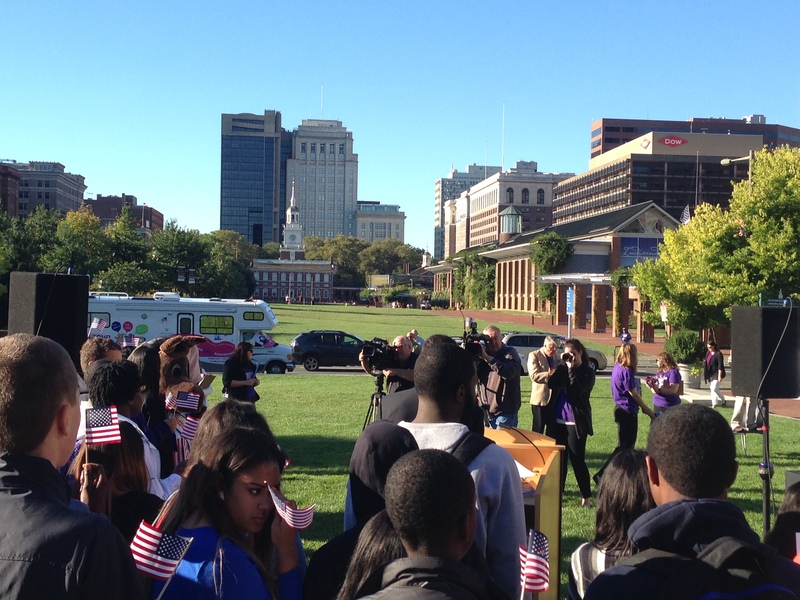 The Tinker Tour bus parked on Independence Mall in Philadelphia during Constitution Day ceremonies Sept. 17. 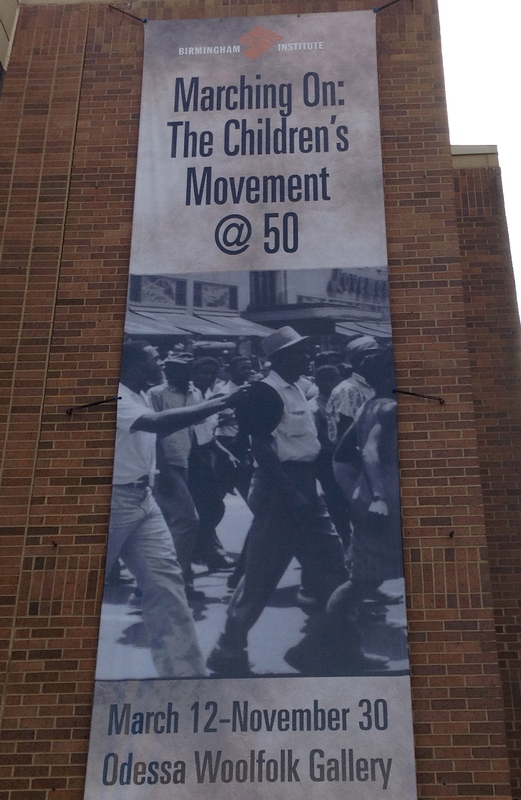 The Tinker Tour, which began on Constitution Day in Philadelphia, coincides with the 50th anniversary of a number of major civil rights anniversaries such as the Birmingham Childrens’ March and Mississippi’s Freedom Summer, events that Tinker says had a huge effect on her, and even on the Tinker ruling by the Supreme Court. “I was a child growing up during a time much like today, when there was great inequality as well as war. I was only thirteen, but I wanted to speak up. When four girls were killed in the Birmingham church bombing on September 15th, 1963, Bill Eckhardt, a friend of the Tinkers, wore a black armband, a symbol of mourning through history. Two years later, his son, Chris, along with the Tinkers, would be suspended for wearing an armband to school to mourn the Vietnam war dead. 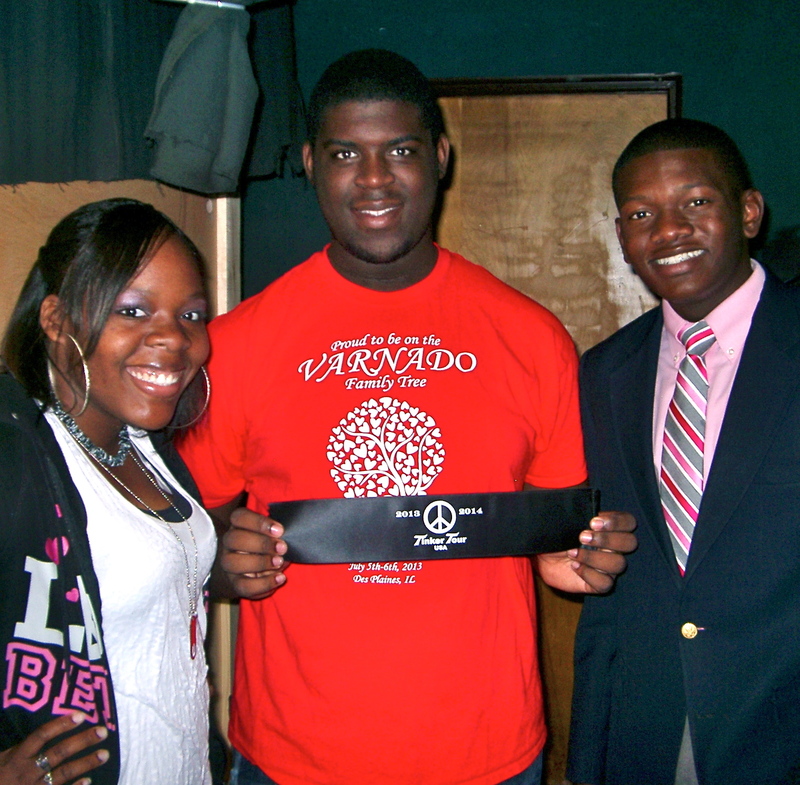 In 1964, when three civil rights workers, Chaney, Schwarner and Goodman, were killed in Mississippi during Freedom Summer, Tinker’s parents went to Mississippi to volunteer with “Freedom Summer.” Tinker said that their bravery, as well as the stories her parents brought back about the civil rights workers, like Fannie Lou Hamer, also motivated her. Tinker learned recently that Freedom Summer influenced her case even more than she realized. In the “Tinker” ruling, the Supreme Court cited a 1966 Appeals Court ruling (Burnside v Byars) that students in Philadelphia, MS should not have been suspended for wearing buttons to protest the murder of Chaney, Schwarner and Goodman. 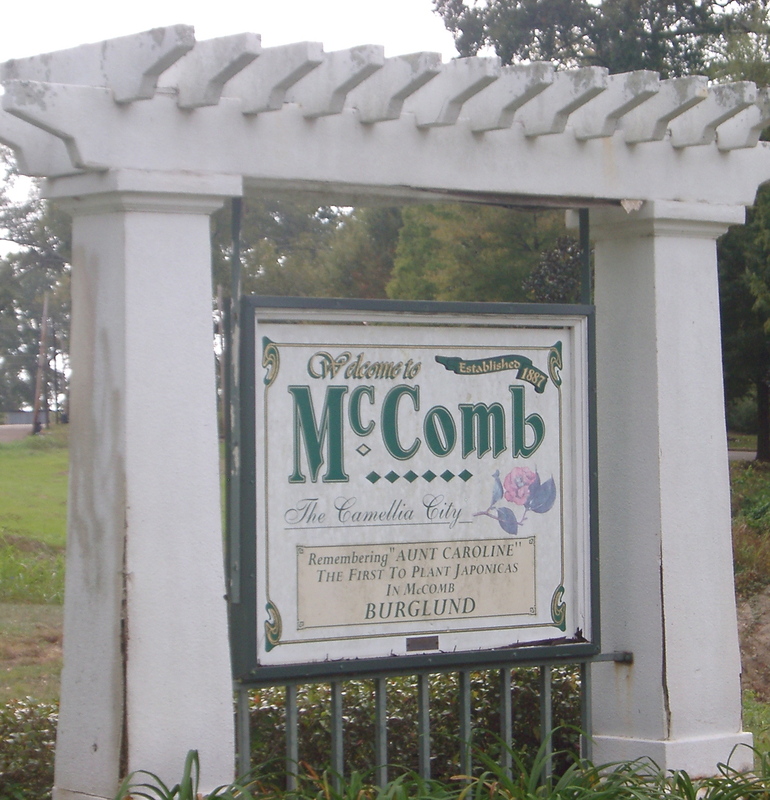 McComb students keep history alive with “McComb Legacies” project. Visiting Historic Burglund neighborhood, where student walkout -and so much more-made history in 1960s. Now, the ruling is cited by liberals and conservatives alike. In November, it was featured by the Liberty Institute at a Supreme Court Historical Society event. 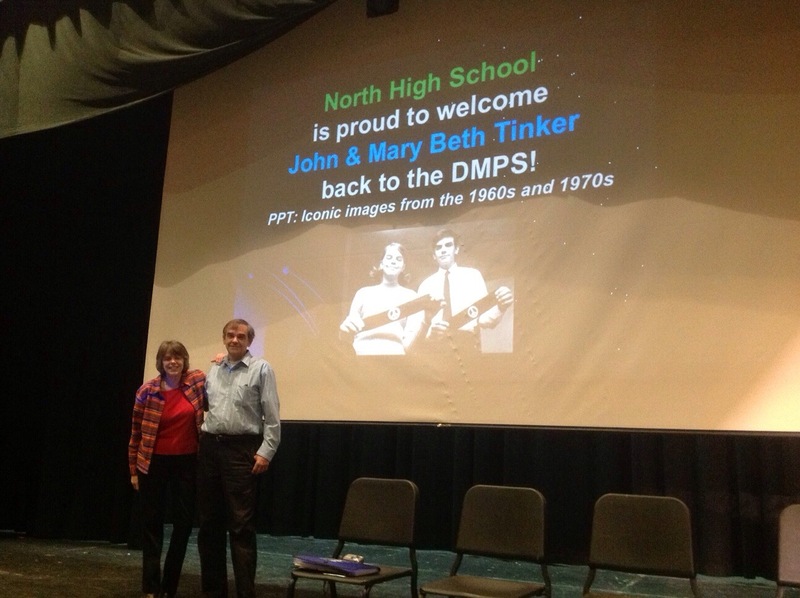 As part of the fall tour, John and Mary Beth Tinker were invited back to the Des Moines schools where they had been suspended – this time to address two school assemblies and accept a locker dedication. Chris Eckhardt died in 2012. The Tinker ruling is still cited in nearly every student First Amendment case, and almost all American civics and history textbooks refer to it. 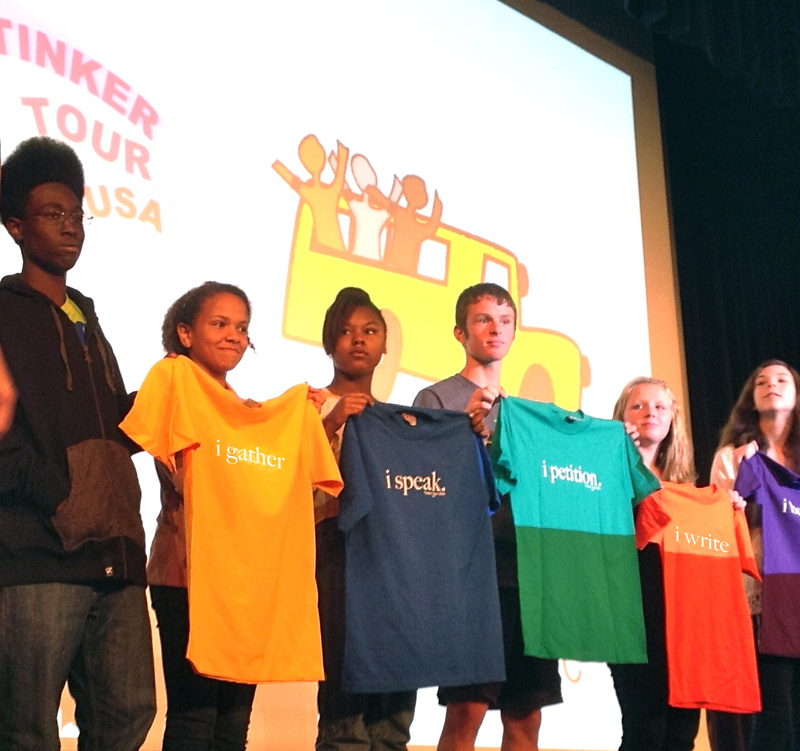 The Tinker Tour has been endorsed by more than 30 of the country’s leading civics education, civil rights and journalism education and journalism advocacy groups. Tinker and Hiestand have already raised about half of the funds for the spring tour, which is scheduled to hit the road in mid-March, and plan to raise the final $25,000 through their StartSomeGood.com campaign, which will run through March 7. Last spring, they raised $50,000 through Start Some Good, and last month were nominated for the 2014 StartSomeGood Impact Award. Donations are being coordinated through the nonprofit Student Press Law Center, a nonpartisan organization with nearly four decades of experience supporting youth voices. The SPLC has agreed to make the tour one of its special projects, helping with tour logistics and collecting funds under their 501(c)(3) umbrella, which will make donations to the tour tax-deductible. 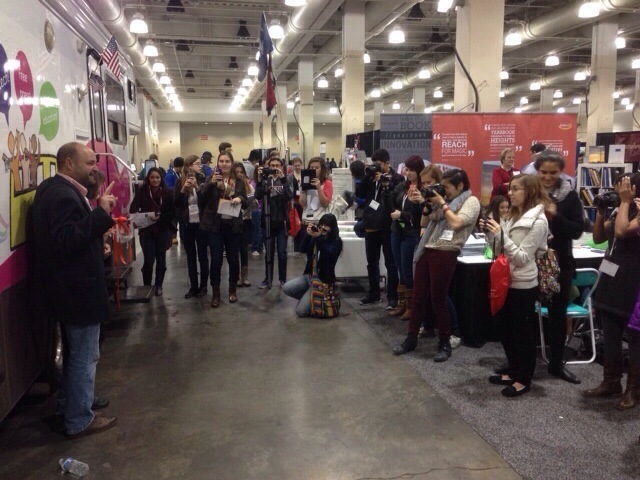 Ms. Tinker and Mr. Hiestand can be reached for interviews through the tour’s Web site at http://www.tinkertourusa.org. Mike Hiestand, Mary Beth Tinker and “Gabby” the Tinker Tour bus during their fall free speech and civics education tour. The pair are raising money to take the tour to the West Coast this spring.